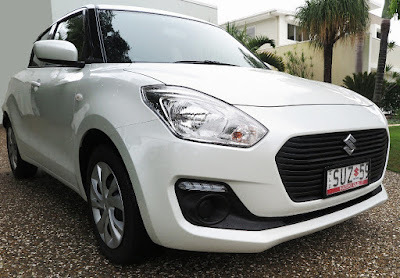 The Suzuki Swift story actually starts back in 1985, with the company’s now famous 1.0L three cylinder engine, which not only powered Suzukis, but a range of minicars produced around the world, wearing other manufacturers’ logos. 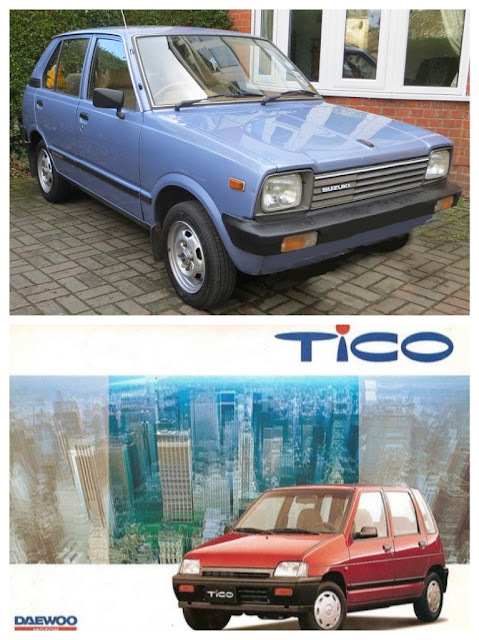 An example is the Daewoo Tico – a badge-engineered version of the Suzuki Alto. The next Swift appeared in 1989, with three engine options, 1.0L, 1.3L and 1.6L – but one thing never changed and that was exceptional fuel economy, and the overall durability of the design. 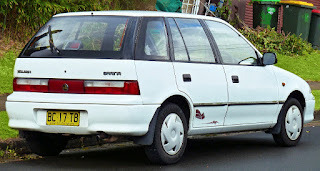 In Australia the Swift joined the GM-Holden lineup badged as a Barina (left), and quickly won a reputation for outstanding economy and reliability. It isn’t unusual to see Barinas with over 200,000km on the odometer! 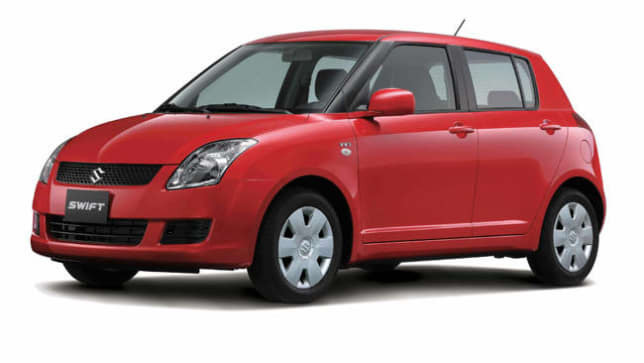 However, the big news in the Swift story, was the 2005 debut of a car which sold more than three million models around the world in just eight years. The Suzuki company is 108 years old this year, beginning as a maker of industrial sewing looms, moving on to record-breaking motorcycles, light commercials, and of course small cars. 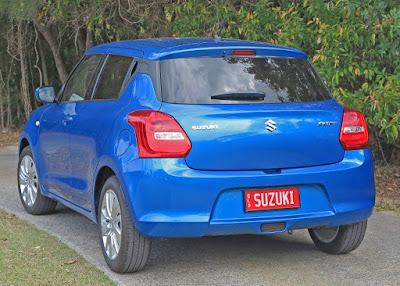 As I wrote in a recent post, Suzuki just stuck to what it did best – fuel-efficient, well-made, compact and reliable transport. 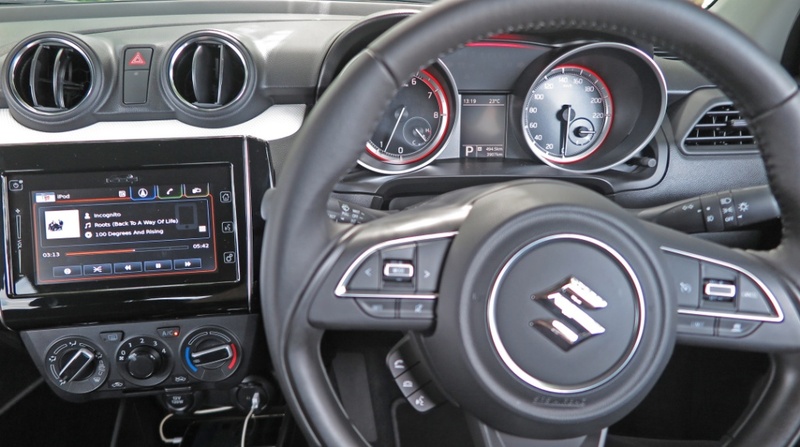 However, with the 2017 range Suzuki has moved Swift right into the heart of the highly-competitive small car segment, with a range which not only boasts its aforementioned qualities, but also new driving technology, incredible structural rigidity, and fashionable equipment like Apple CarPlay and Android Auto. I’ve never rated Suzuki design as pace-setting – more, workmanlike, but the 2017 cars appear to me to have moved Suzuki exterior design to a new dimension. The designers took the basic structure of the 2005 version, made it lower, wider and, amazingly, shorter, whilst still achieving incredible interior space efficiency. Swift comes to market on a new global platform which is incredibly strong. I’ve just been driving the absolute base GL version, and also the GL+, differentiated really just by equipment levels. 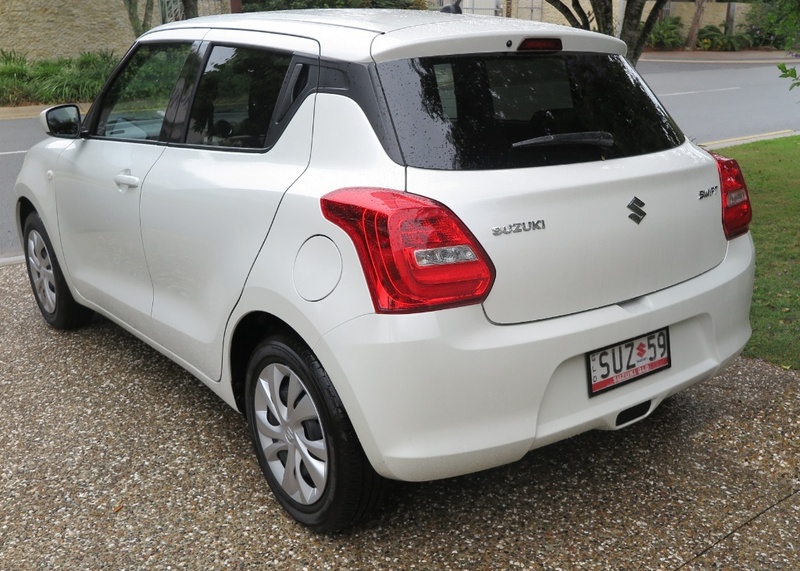 After many kilometres behind the wheel of both versions, there’s no doubt in my mind that this latest Suzuki small car may well push the company towards breaking its own production records. The Suzuki GL manual is AUD$16,990; a Jatco CVT auto adds another AUD$1000. The GL+ has more equipment, only comes as an auto, and is priced at AUD$19,990. The topline GLX is AUD$22,990. After all the glamourous cars which have been parked in my drive over the last few years, you may wonder about the focus I have on sub$20 grand cars – but these small cars play an important role in the global car market – bringing motoring to the masses. 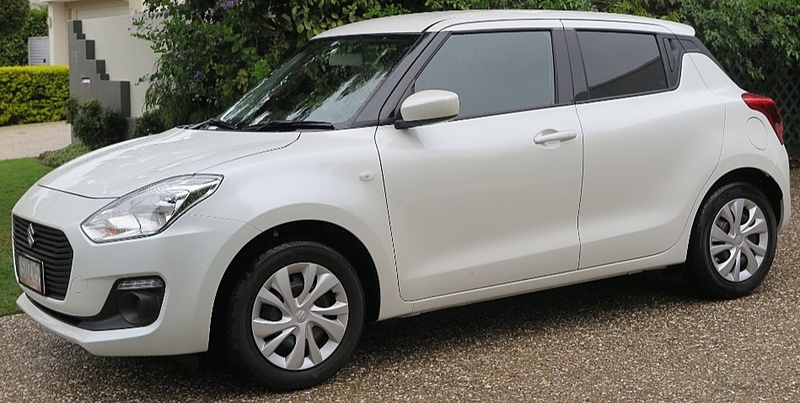 The top-of-the-range Swift, GLX, has Suzuki’s excellent turbocharged 1.0L three cylinder, mated to an Aisin 6-speed torque convertor automatic and quite frankly this is the best powertrain package, in terms of performance and driveability. All other models use a 1.2L naturally-aspirated four cylinder, with twin injectors per cylinder, but quite frankly, despite fuel efficiency of 4.6L/100km, I find it not only a bit wheezy; but it feels poorly matched with the CVT automatic. 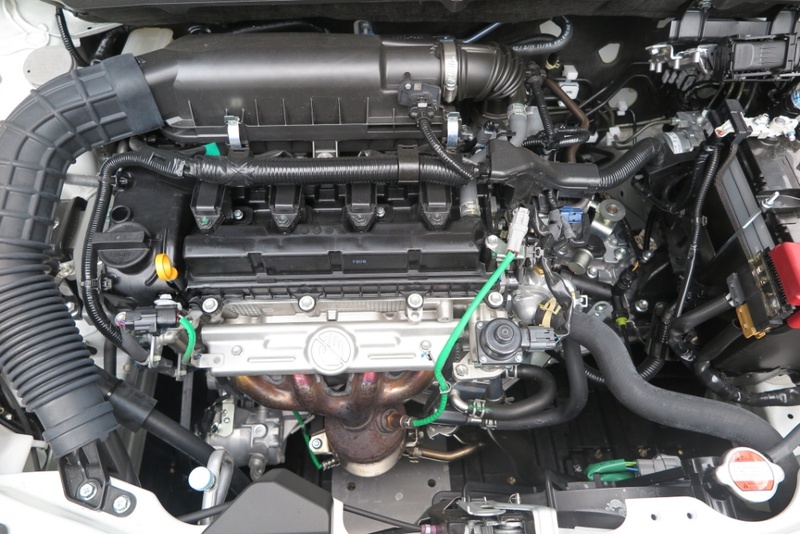 Perhaps using the 1.4L engine offered in the base Baleno might be the answer, because the 1.2L/CVT combo in the Swift is constantly ‘hunting’, especially at higher freeway speeds and undulating roads. Or maybe it’s just a recalibration job. One thing stands out particularly, and that is the inherent strength of the new Swift. It almost feels as rigid as a seam-welded rallycar. 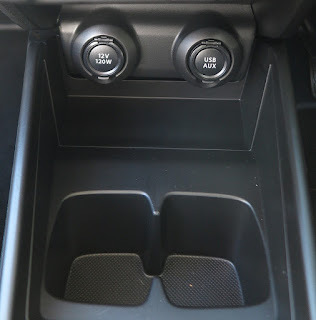 This has great benefits in steering precision, and the overall handling. The new Swift is very surefooted, and that’s an important aspect for young drivers specifically. Quite frankly, I feel that the entry-level car, with the 5-speed manual is almost as much fun as my original Mini 850. It’s a very honest package, and even though it lacks the touchscreen system, it does have Bluetooth and connection for an iPod/iPhone for music. 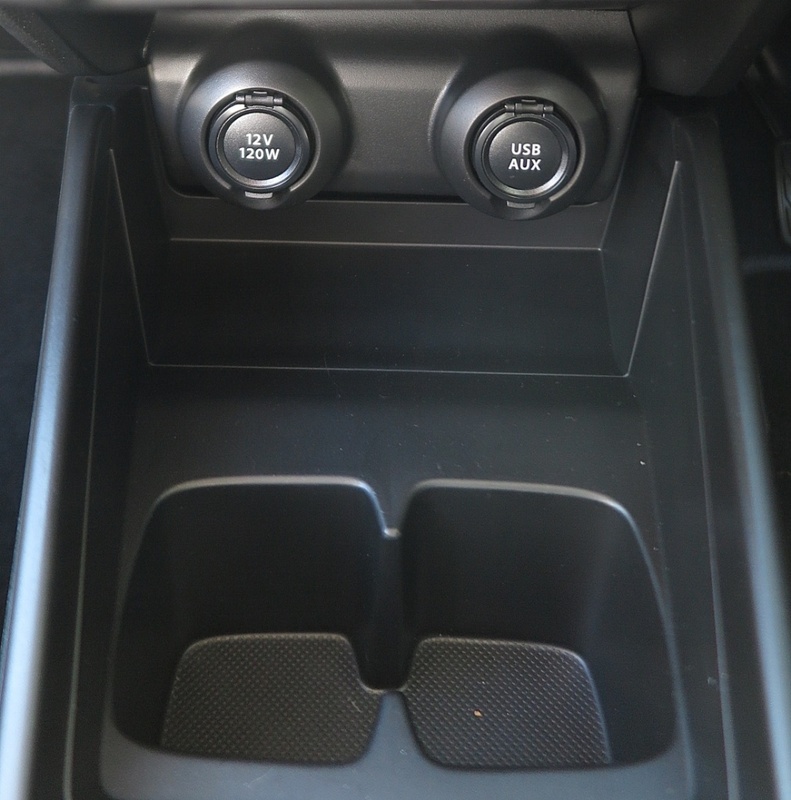 There's also well-located access points for charging your phone, and a USB socket in the centre console. I should also mention Suzuki's capped-price servicing package, which is really good value. If I was charged with selecting a first car, I would be hard-pressed to go past the Swift GL – it’s economical, good value, performs well, it’s comfortable and roomy and, strangely, I think it’s the pick of the pack. The interior trim quality has been criticized by some toffee-nosed reviewers, but I think it's well-designed, hard-wearing, good quality and practical. The pricier models do not depart from the basic package, apart from additional software, or ‘drivers’ aids’ as they are now referred to. 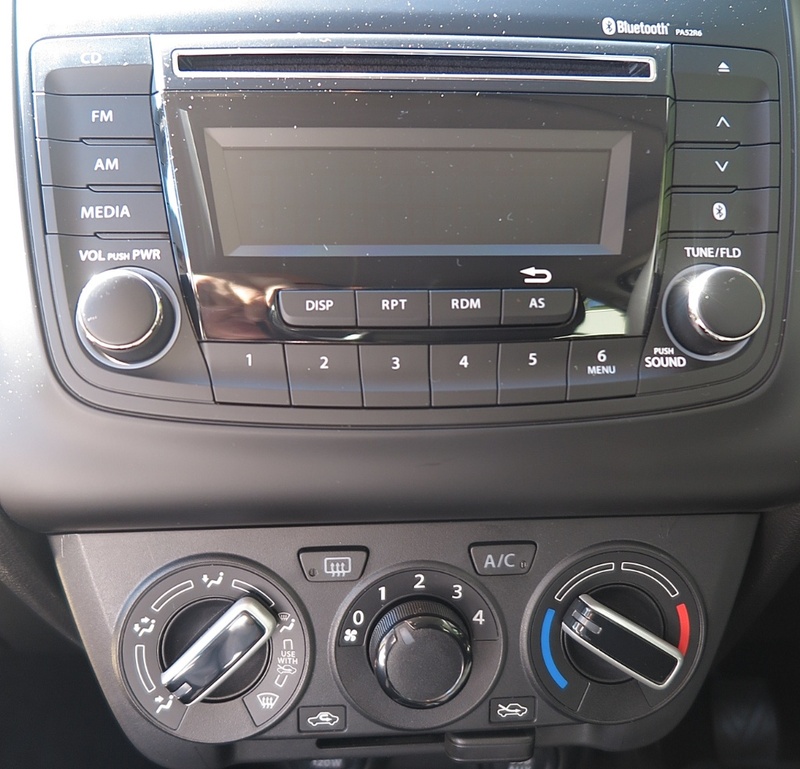 Naturally, you get a complete entertainment touchscreen, with Bluetooth, Apple Car Play/Android Auto and GPS too! Plus there's Suzuki's steering wheel-mounted Cruise Control which is very easy to use. 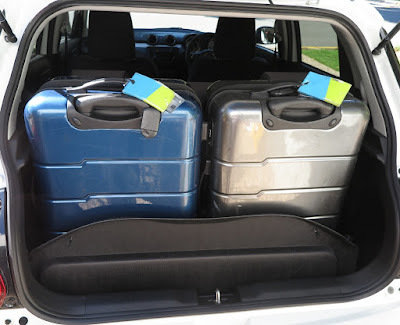 The small trunk, however, passes my test for capacity, because it will accept my two 65cm suitcases - albeit, standing up, with parcel shelf removed. 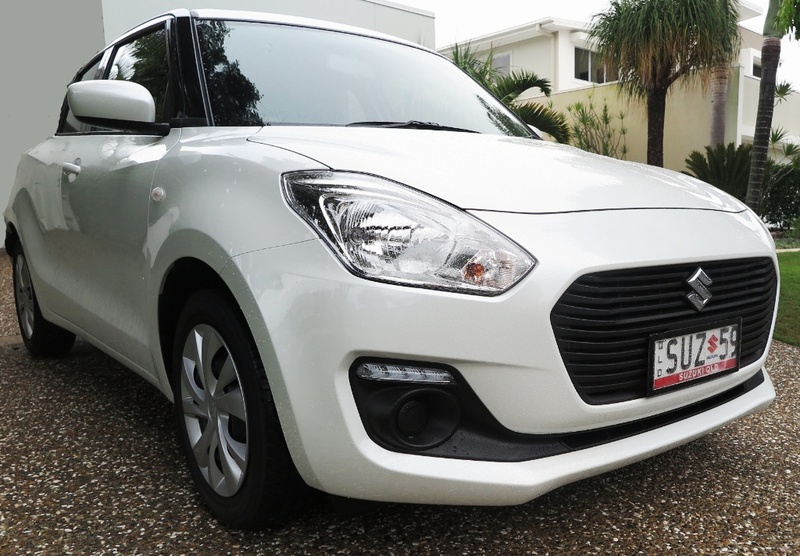 The Swift is an incredibly well-engineered car, it has an astonishingly good ride, for a car on a short wheelbase, pointing to just how well resolved the whole package is. If you wanted your young driver to be ‘protected’ then all the (drivers' aids) software works as advertised. However, I think that encouraging young drivers to rely, in fact depend, on software to make up for poor basic driving skills is a dangerous premise. 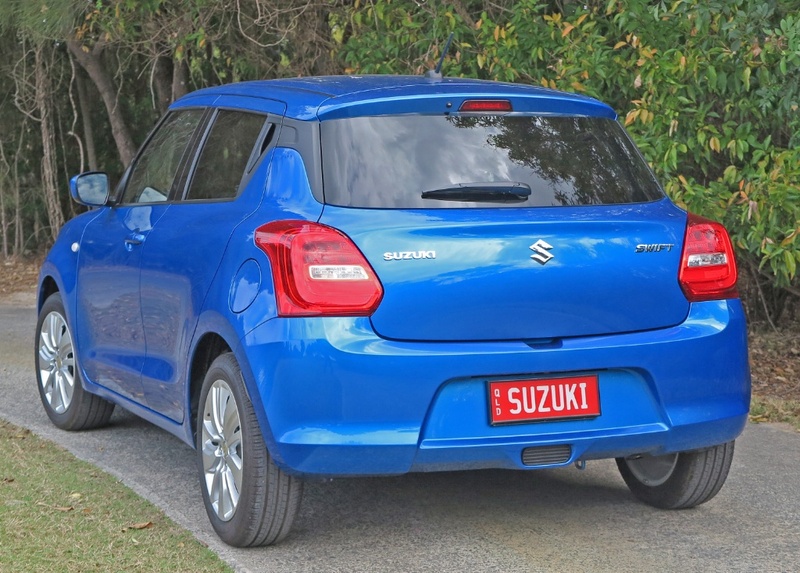 Suzuki has a come a long way in 108 years, and on the evidence of its current products, will be with us for a lot longer, as long as demand exists for small cars with high intrinsic integrity and most important, value-for-money. all the more impressive given the (still?) split distribution setup in Australia and I suspect in spite in the NSW distributor's efforts, whose loyalty to brands is very sketchy.